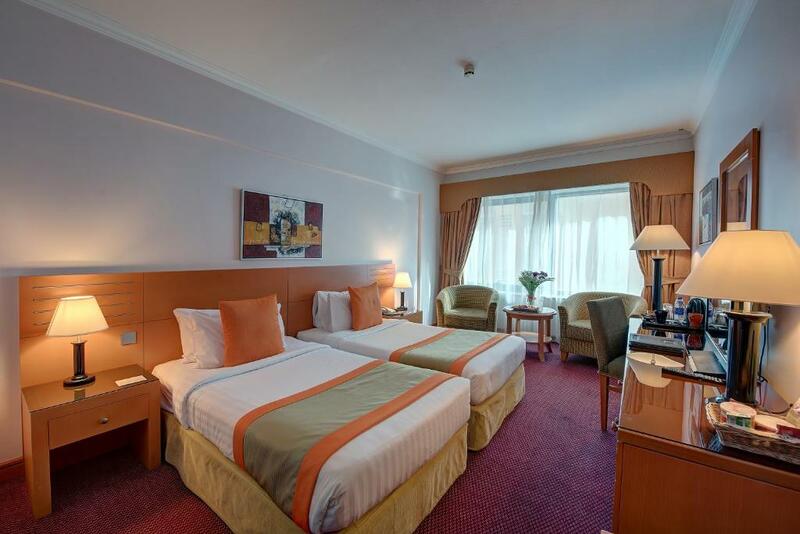 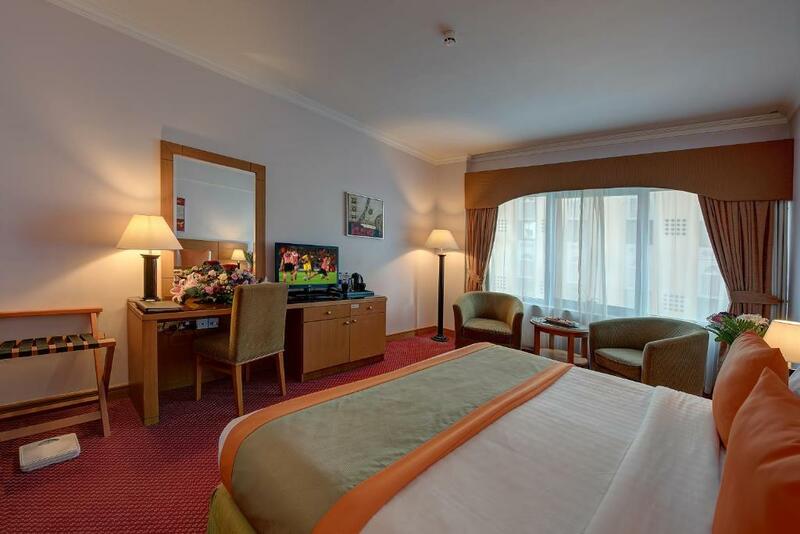 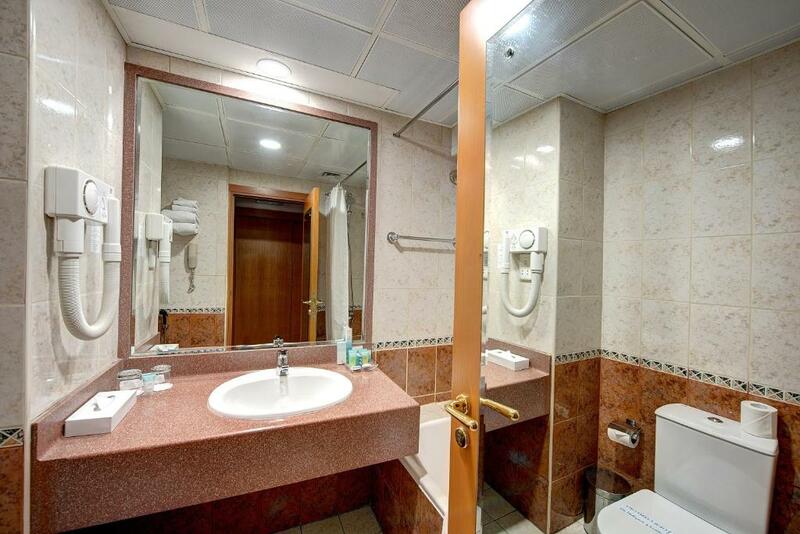 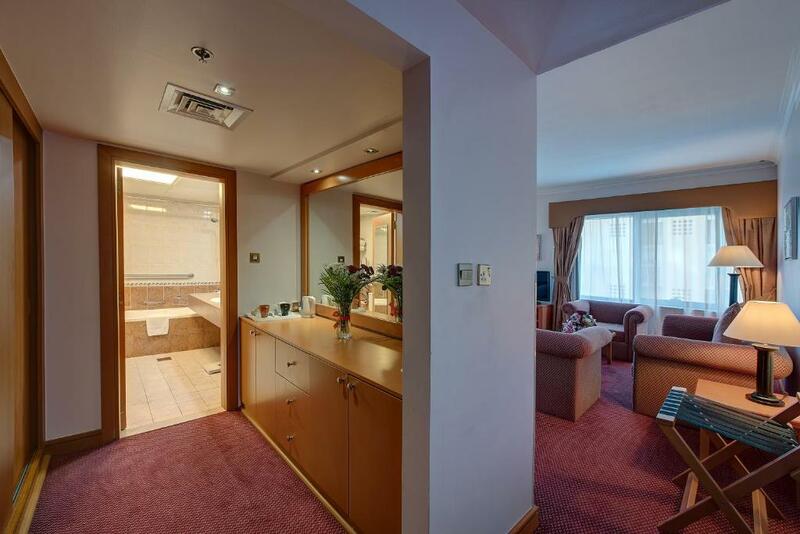 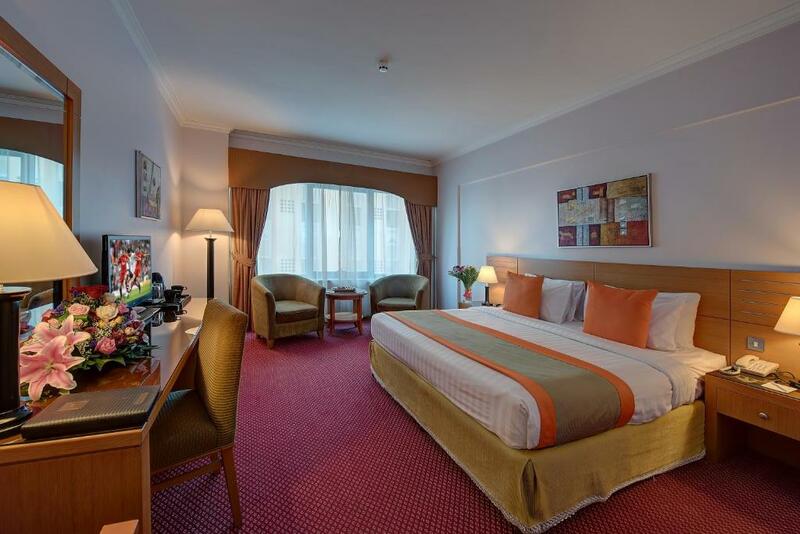 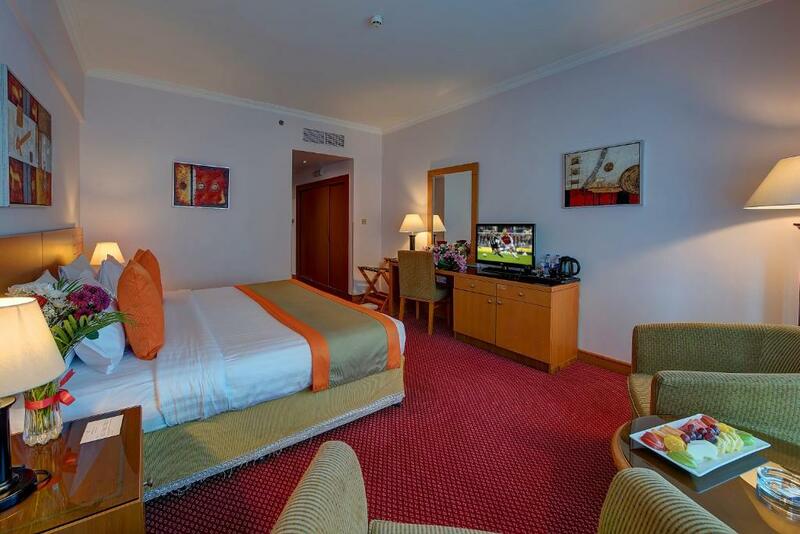 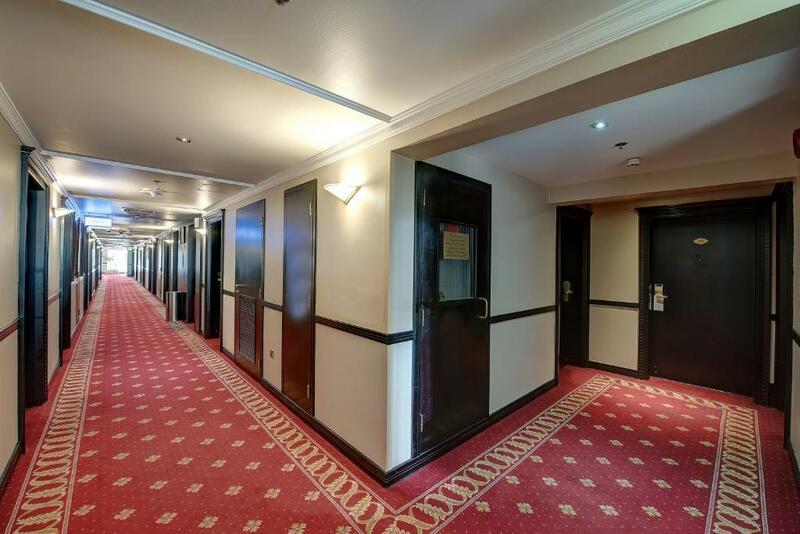 Centrally located in downtown Dubai, this hotel offers deluxe accommodation with a rooftop pool bar and Jacuzzi. 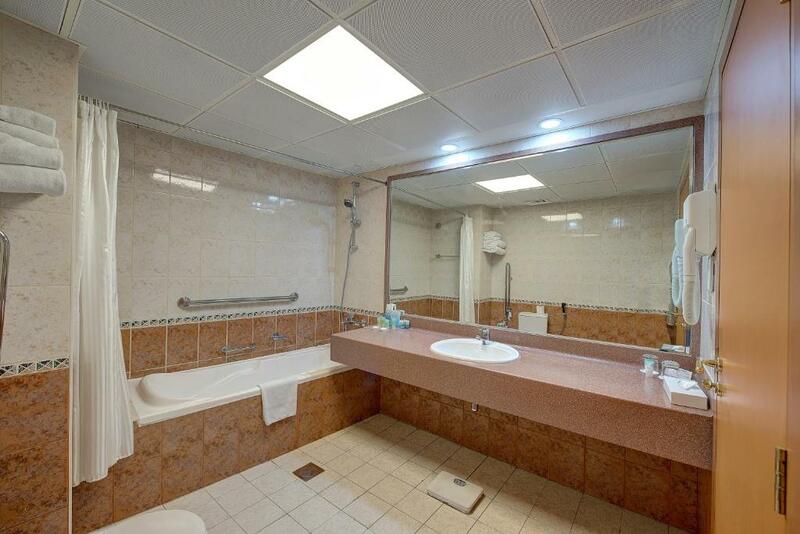 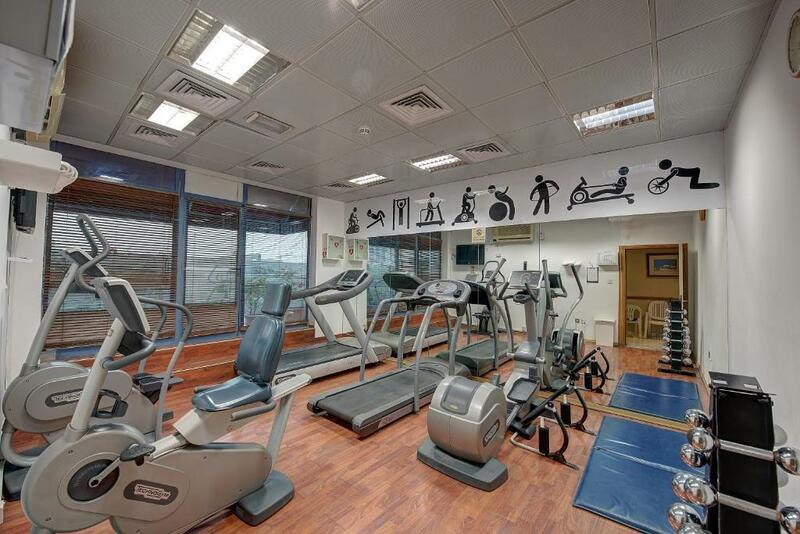 It also features a well-equipped gym with sauna. 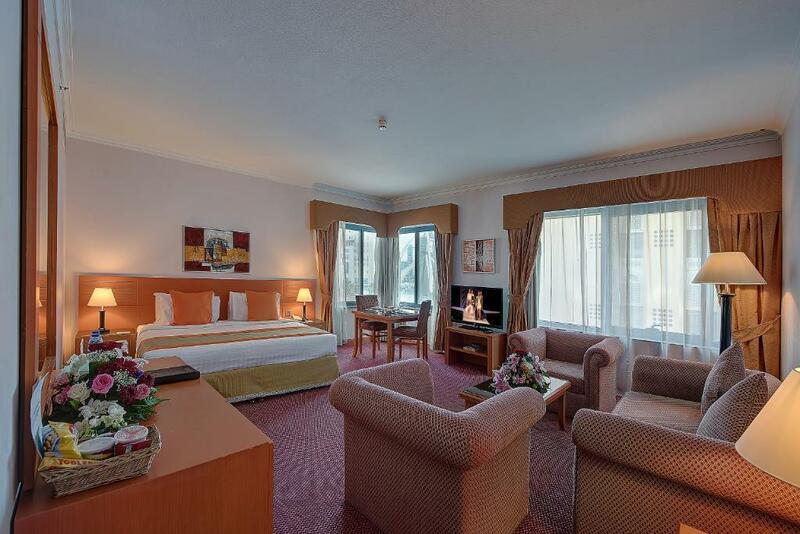 All rooms are decorated with European-style furnishings and fabrics. 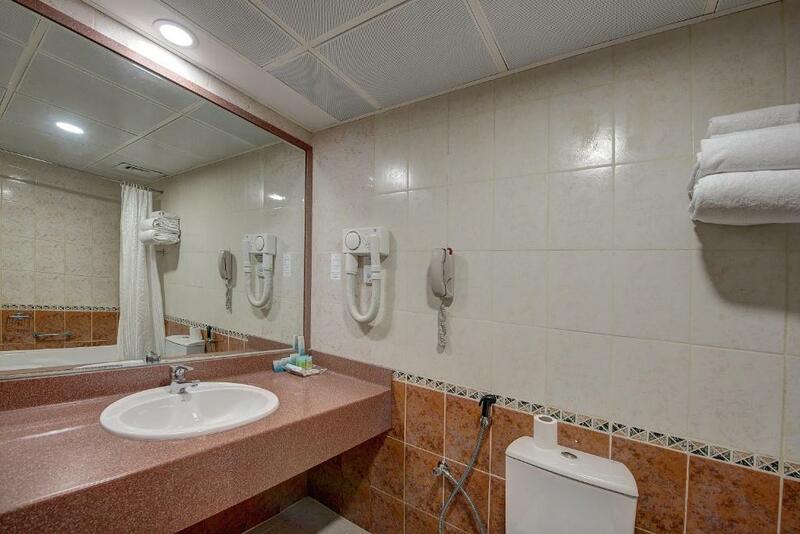 Each has a spacious seating area with cable TV channels, en suite bathroom, refrigerator and safety deposit box. 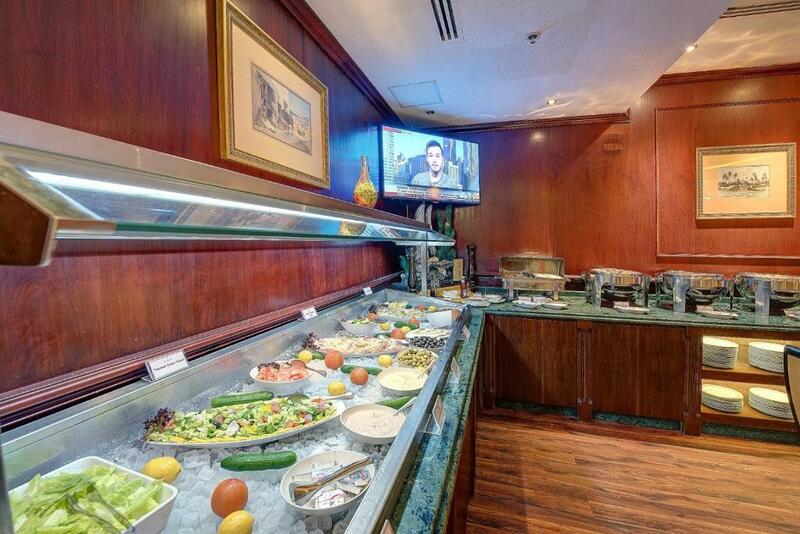 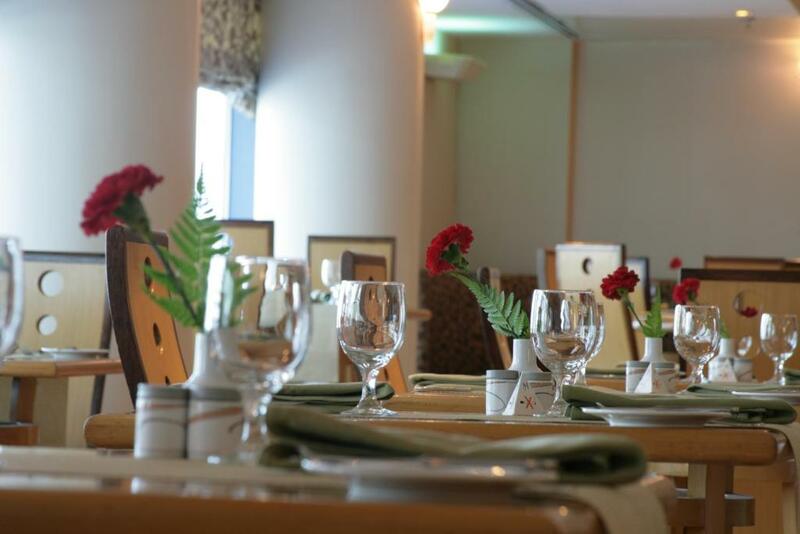 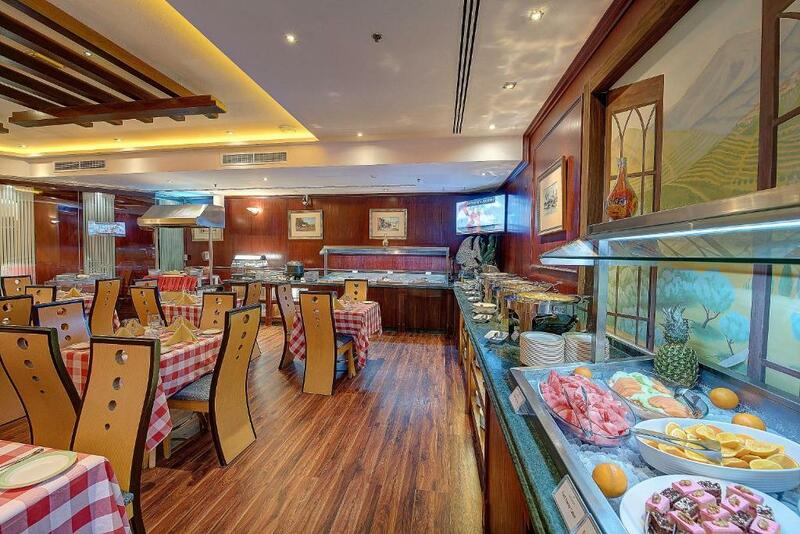 Guests can choose among different dining outlets such as Al Riga Restaurant which focuses on diverse international specialties. 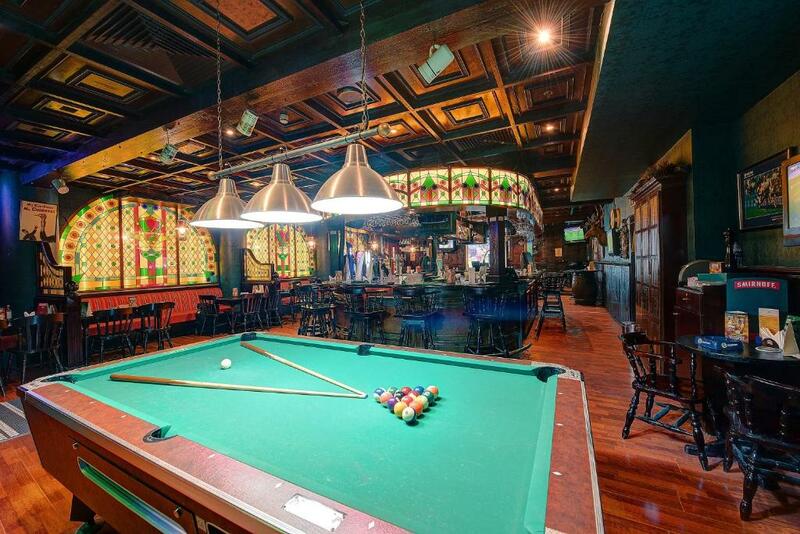 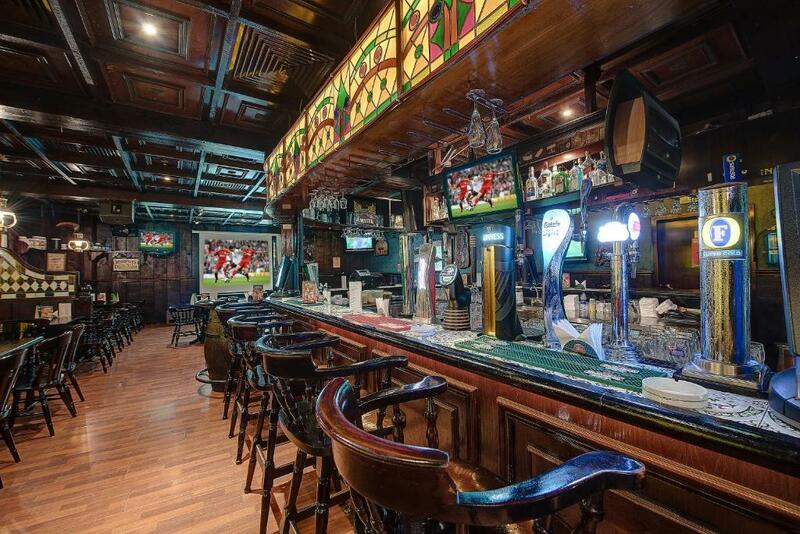 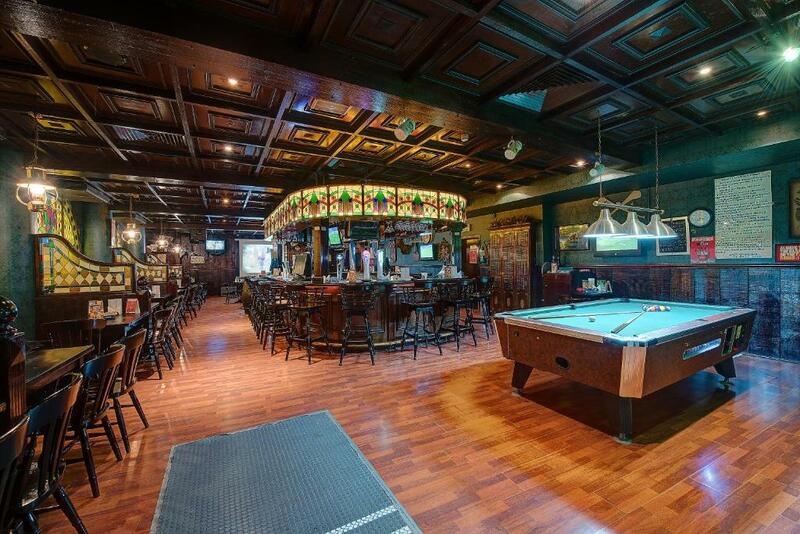 The on-site Dublin Arms Irish Pub which offers lagers and spirits that is open till late in the evening. 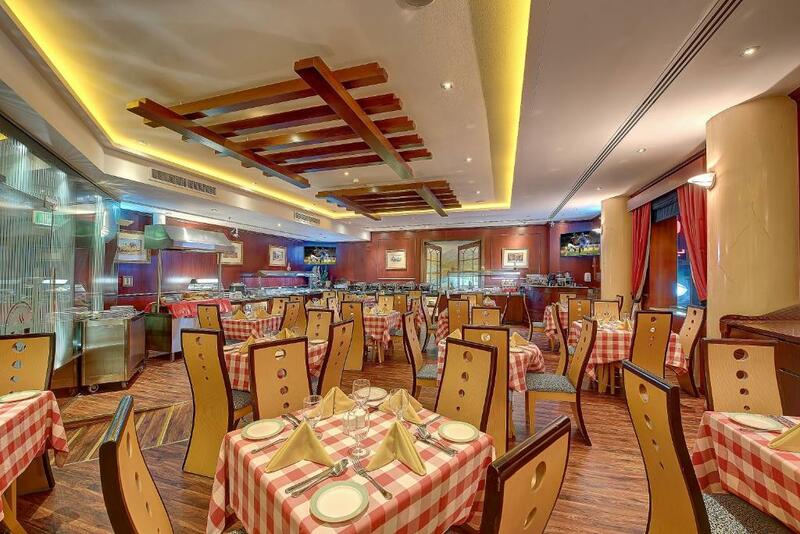 The popular Gold Souk is a 5-minute drive from the hotel. 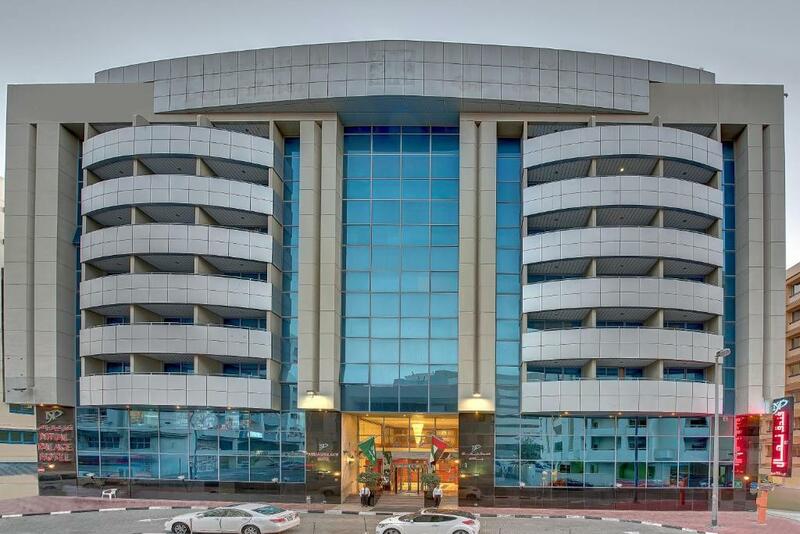 The Dubai Creek is located 550 yards away from Al Rigga Metro Station and a 15-minute drive from Dubai International Airport. 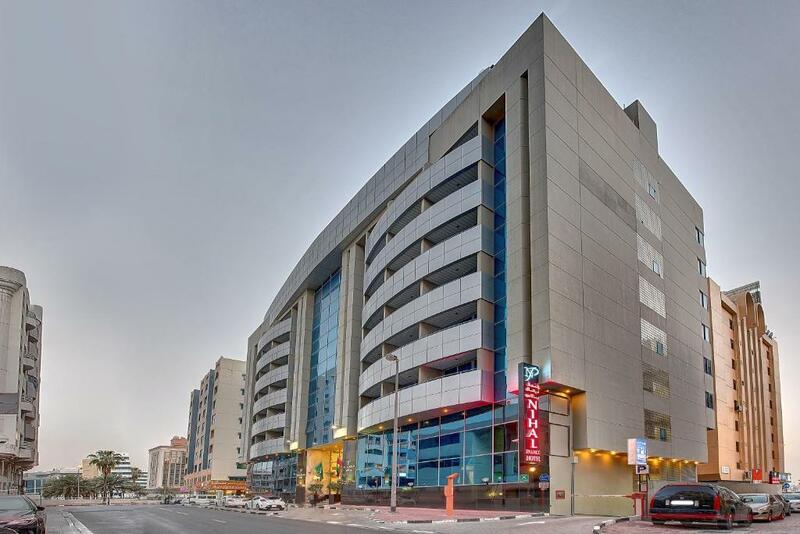 Private parking is possible on site (reservation is not needed) and costs AED 20 per day.